Your trip awaits at our Queensland hotel. Discover the available amenities on-site, and plan out your perfect stay. 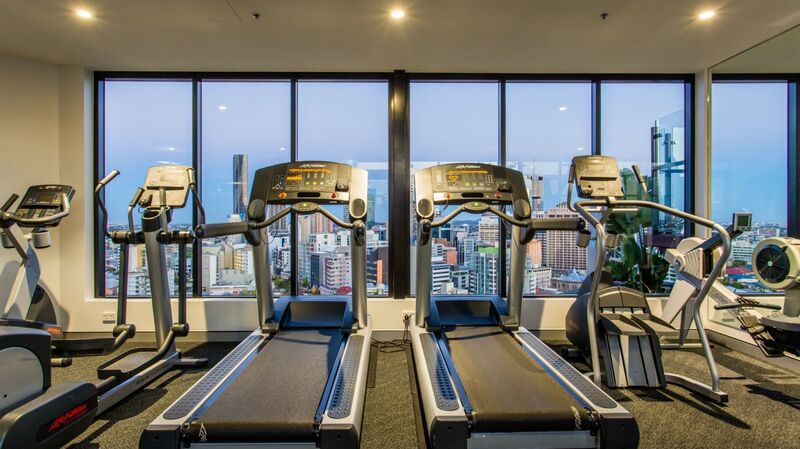 As our guest, you can enjoy a workout in the well-appointed fitness facility or a relaxing swim in the splendid rooftop pool, overlooking downtown Brisbane. Enjoy a relaxing plunge, get in your morning laps, or sink into one of the lounge chairs circling the rooftop pool and soak up the Queensland sunshine. Located on the hotel’s top floor, the hotel gym features modern exercise equipment, including a treadmill, upright lifecycle, indoor rower, cross trainer, chin/dip frame and free weights all available in air-conditioned comfort. We invite you to take advantage of a wide range of facilities and services designed to enhance your stay in Brisbane.